This sample shows how to create a new document from two existing PDF files. The pages are inserted alternately from two external documents. This may be useful for visual comparison. How to import a page from an external document. This technique includes all annotations of the imported page. How to import a page as a PDF form object. This technique treats the pages of external documents like images that can be transformed and placed everywhere. 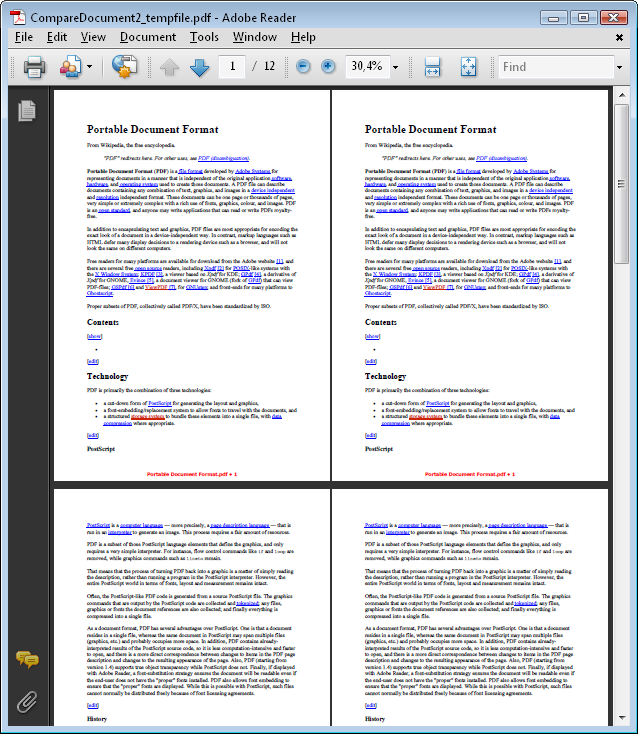 The sample shows two methods how existing PDF pages can be imported into a new document. Imports pages from an external document. Note that this technique imports the whole page including the hyperlinks. PdfPage page1 = inputDocument1.PageCount > idx ? PdfPage page2 = inputDocument2.PageCount > idx ? Imports the pages as form X objects. Note that this technique copies only the visual content and the hyperlinks do not work. // referenced by a new XPdfForm.